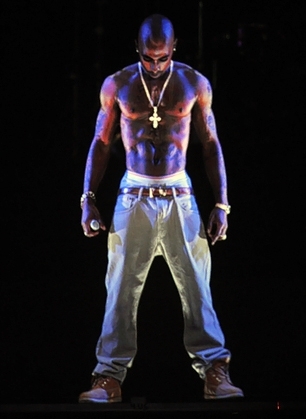 I know I'm not the only one who got chills watching Tupac perform at Coachella. "Yo Tupac, I'm really happy for you and Imma let you finish, but S1m0ne had the best hologram concert performance of all time!" Shrug. Hand the mic back to Tupac. Walk off the stage. My trademark professor is lecturing about this performance as I type this comment and half of the class had not heard about it--Gosh, I hate the people in law school.